Brian Wilson has announced his return to Capitol Records / EMI, his original label home. 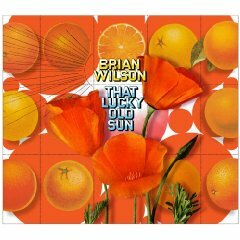 Brian Wilson's new album, "That Lucky Old Sun," will be released by Capitol/EMI on CD, CD/DVD, limited edition vinyl and digitally on September 2 (September 1 internationally). A musical love letter from Southern California, "That Lucky Old Sun" shimmers with sundappled choruses and arrangements that swell and swirl as if carried by the Pacific tides. One of the songs, "Midnight’s Another Day," has been described by Mojo magazine as "glorious." The album is narrated in transitional interludes spoken by Wilson as "That Lucky Old Sun," the storyteller. The narratives, cameos on life and the heartbeat of Los Angeles, propel the album’s musical story. Last summer, Wilson found himself singing the 1949 classic song, "That Lucky Old Sun," which became the inspiration for a unique approach to what would become his new studio release. He bought Louis Armstrong’s version of the track and was inspired to collaborate lyrically with his band mate Scott Bennett, and with Van Dyke Parks, his old "sidekick," to create vibrant spoken narratives. Brian Wilson debuted "That Lucky Old Sun" at London’s Royal Festival Hall in September 2007 in a series of six sold-out and criticallyacclaimed concert performances celebrating the theatre’s restoration. The new release is the dawning of a new California morning for Brian Wilson, continuing the awe-inspiring concept album journey that he first began four decades ago. Brian Wilson's songwriting, arranging and producing talents came together in harmonious glory for The Beach Boys' 1966 classic, "Pet Sounds," and have continued to evolve during his solo career, highlighted by his 2004 critically acclaimed "Brian Wilson Presents SMiLE". 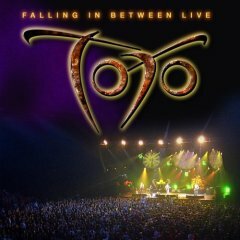 The album is also released as a limited Edition CD/DVD features exclusive "making of" with bonus video content. 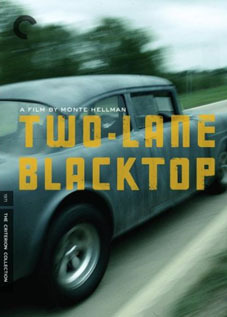 (DVD total run time: 26:00). Stephen John Kalinich with Brian Wilson "World of Peace Must Come"
A World Of Peace Must Come was recorded at Brian's house in Bel-Air in 1969. The tapes were promptly lost, not to be heard again until now. For the first time this truly timeless snapshot of an era and an ethos are available nationally. "A World of Peace Must Come", an album recorded by Brian Wilson in 1969 based on the poetry of Stephen John Kalinich, will finally have an official release September 23, 2008. The album has been recorded most of it at Brian Wilson's house and in other studios like Wally Heider and Sunset Sound. A World Of Peace Must Come will feature these tracks: A World Of Peace Must Come ; Candy Face Lane ; I Am Waiting/The Birth Of God ; The Deer, The Elk, The Raven ; The Magic Hand ; Lonely Man ; Be Still ; Walk Along With Love ; A World Of Peace Must Come ; If You Knew ; America I Know You ; A World Of Peace Must Come (outro) ; Leaves Of Grass.